Jupiter is a fun stormy planet with a reddish tint. In Greek mythology a short story of Jupiter is that he overthrew his father Saturn and then split the kingdom with his brothers Neptune and Pluto. Saturn had a more limiting vision of the kingdom that Jupiter. 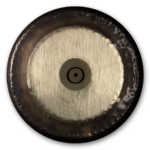 The Paiste Jupiter Gong is always ready to play to lead you towards your highest fulfillment and happiness. Pluto would be the farthest planet from the sun if it were still a planet and was discovered in 1930. Though it is named after the mythological god of the underworld, the creators of myths didn’t even know that Pluto existed. The name came from an 11-year-old girl in England. In general Pluto is associated with Scorpio. Pluto is very harmonically tuned to the (earth) moon and Neptune. To both of them it has an exact quint-quant relation. Pluto is about 40 times farther away from the earth as the sun and a little smaller than the (earth) moon. Nevertheless it is attached to great importance in recent astrology. The true lonely plant, cast out from the original order by science who see it as only a rock (egads! ), Pluto knows what it feels like to be left out, knows what it’s like to live on the fringe, inside and outside. Moving through signs every 13 – 30 years, Pluto also holds generations within its energy. Play the Paiste Pluto Gong for the transformation of group dynamic, for the little rock that, while not technically a planet, totally rocks. Since ancient times Saturn has been associated with Capricorn. The thinking of usefulness is very closely related to Saturn. It supports the ability for concentration, the general process of gaining consciousness and shows very clearly karmic connections. It brings structure and order. 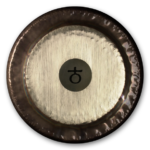 Allow the Paiste Saturn Gong to help you awaken your consciousness and focus your concentration to your work at hand — the work that you in the fullness of your being bring to the Universe. 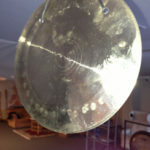 According to Hans Cousto, the Paiste Sun Gong tone represents for him “a door from one world into another.” Cousto says with this tone you are helped to “exit from the known, mechanistic, and physical world…” and can enter ” a new world– a magic world.” Because of his calculations being based on the speed of light, he suggests that meditation to this tone “will lead the listener to a state beyond good and bad, shame and guilt, beyond space and time, knowledge and wisdom, action and rest, being and non-being.” Find your space with this gong, and he feels you will get beyond space, and this frequency can lead to a place out of duality, where you are reunited with the Creator. 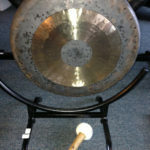 This gong of course, falling into the G Sharp range, creates a tone that can excite and raise your energy. Its frequency when calculated and extrapolated into a visual range is an orange: a bright and enthused color. 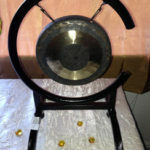 Hence this gong is very good to help you meditate at times, like the Full Moon, when your internal tides are high, but you want to find your center. 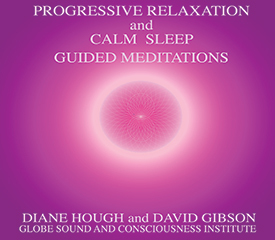 It is made for meditations during excited times. 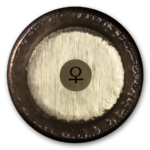 As Hans Cousto has mentioned, this gong works very well with healing difficulties and dis-ease with menstruation and related issues. 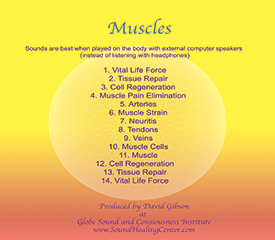 It does work well on various acupuncture points related to this area. But it is not just a gong for women. 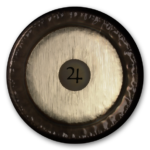 We also see that it helps cleaning out the second chakra which can hold a lot of emotional and sexual energy that may not be yours, or helps release pain and blocks from that chakra and any other chakras that the second chakra pain is connected. 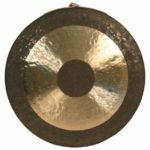 The Synodic Moon Gong can help balance male and female energies, the yin and yang, within your clients. Venus is the goddess of love, beauty and partnership. She points to the best pathway for social harmony in each of our lives and tells us where we struggle with confidence and self-esteem. She helps us find a strong sense of our own self-worth and value. 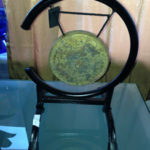 Working with a Venus Gong can be very beneficial for a soul who incarnated with Taurus prominent in her or his chart. To balance things out, let us also acknowledge that Venus also rules Libra, that balancer, and the autumn in the Northern Hemisphere. 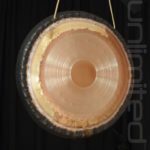 Each gong and gong player is a conduit for the healing energy being created and channeled, and the gong player gets healed by healing. Like Chiron, the wounded healer, your capacity for healing can be increased by your realization of your personal wounds. 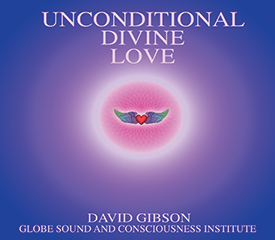 By understanding one's own inner cosmos, the gong player can better relate to other’s pain, and from there, create greater healings for more. The movements of Venus may affect you more strongly if you’re born in the second month of spring, the time when new growth is in full swing, when the earth is buzzing and all of nature is beautiful and blooming. Yes, we're running with the bulls here – Taurus – the sign ruled by Venus. Via Tone Of Life: “A magnificent range of medium and high tones is derived from this small 22” (56 cm) gong. Played with large and well balanced mallet, we can play on this gong like a drum and a gong simultaneously. This gong plays best as a handheld and is easy and light to carry, weighing only 9lbs (4 kg). 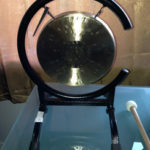 The Tone of Life Water Gong is the newest gong in the 4-Element Series. 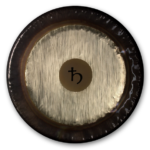 Whereas Shemoon (original Water Gong) represents and influences the ebb and flow of our waters, The New Water Gong represents water in all of its manifestations. 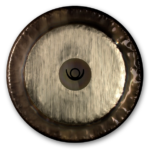 The Water Gong is created in six sizes, each with their own unique qualities but all with the quality of the Water element. Connecting us with a deep ancestral knowledge through our feelings and emotions, they are nourishing and life giving. 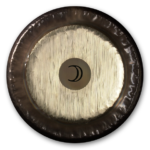 These gongs have a very deep, steady, natural and raw sound. Like the waters around us, they can take you from a tranquil lagoon to a raging ocean. 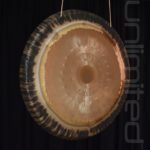 With a great variety of overtones and a beautiful build-up of low, medium and higher tones, the New Water Gong will enchant and delight you with its beautiful appearance and captivating sound.